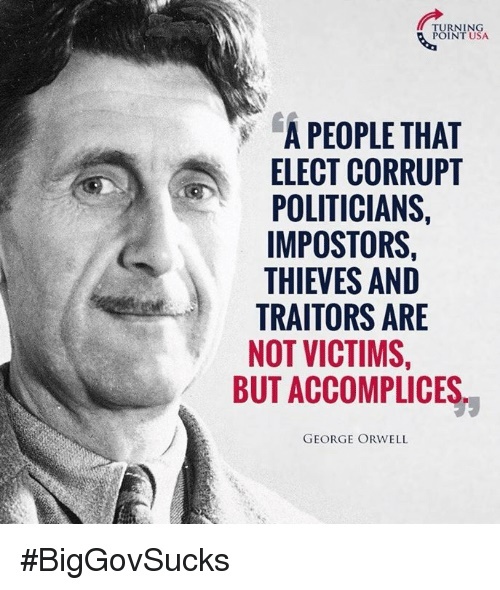 THIS year, Tameside Trade Union Council [TUC] in Greater Manchester became the first corporate affiliate of the ORWELL SOCIETY. This SOCIETY is dedicated to the understanding and appreciation of George Orwell's life and work as one of the greatest writers of the twentieth century. The Society is a registered charity in the UK and it aims to keep the study of Orwell alive through its educational activities. The Orwell Society is without political affiliation,and was founded in 2011, and though it is based in the UK its membership is worldwide. George Orwell (the pen-name for Eric Blair; 1903-1950), was the author of Animal Farm and Nineteen Eighty-Four. The Society's intention is to embrace a grasp of Orwell's life and writings, from his literary criticism to his diaries, and from his political writings to his poetry. . When I attended the Annual General Meeting of the Orwell Society on the 28th, April this year, I spoke to Richard Blair, the son of George Orwell, and to Quintin Kopp, the son of George Kopp Orwell's commander as captain in the general staff of the 45th Mixed Brigade of the Spanish Republican Army. Both were anxious to get more participation in the Society from trade unionists such as ourselves. Since Tameside TUC first published our booklet commemorating the 70th anniversary of the Spanish Civil War in 2006, and followed this up with the unveiling of a blue plaque for James Keogh in 2011 who died fighting with the republicans in the Spanish Civil War, this trade union council has had a special interest in both George Orwell and his experiences of the Spanish Civil War. When we at Tameside TUC began to produce and publish a balanced account of the Spanish Civil War in 2006, we were confronted with resistance from some elements within the more narrow-minded political left of the trade union movement in Greater Manchester. These people deliberately tried to stiffle our efforts and those of other local trade unionists to bring about publication. Both Orwell and Muggeridge had had difficultes getting their articles published by the so-called progressive publishers like Kingsley Martin at the New Statesman and C.P. Scott at the Manchester Guardian, and perhaps even more absurd, was the Victor Gollancz rejection of Animal Farm. I feel much the same when I am forced to gaze into the faces of Ronald Marsden and his friend Mike Luft of the International Brigade Memorial Trust: two people who did their utmost to undermine the production of the Tameside TUC memorial booklet about the Spanish Civil War. Your members may also be interested to learn that Wigan Reference Library now has Peter Davison's Orwell library on long-term loan. (In the same room in which Orwell researched the statistics underlying The Road to Wigan Pier).